Color/Appearance: Color can be highly variable, but tends to be medium golden or reddish brown, similar to Koa or Mahogany. There are usually contrasting bands of color in the growth rings, and it is not uncommon to see boards with ribbon-like streaks of color. Boards figured with wavy and/or curly grain are also not uncommon. Grain/Texture: Grain is usually straight to slightly interlocked, and sometimes wavy. Uniform fine to medium texture. 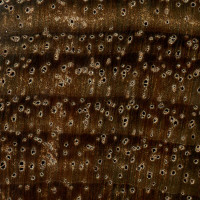 Endgrain: Diffuse-porous; large pores in no specific arrangement; few to very few; solitary and radial multiples of 2-3; narrow rays, spacing normal, can be reddish color; parenchyma vasicentric. Rot Resistance: Rated as moderately durable regarding decay resistance, though susceptible to insect attack. Workability: Australian Blackwood is easily worked with both hand and machine tools, though figured wood and pieces with interlocked grain can cause tearout. Australian Blackwood turns, glues, stains, and finishes well. Responds well to steam bending. Allergies/Toxicity: Although severe reactions are quite uncommon, Australian Blackwood has been reported as a sensitizer. Usually most common reactions simply include eye, skin, and respiratory irritation, as well as asthma-like symptoms. See the articles Wood Allergies and Toxicity and Wood Dust Safety for more information. Pricing/Availability: Although Australian Blackwood is considered an invasive species and a pest in some areas, the lumber is still fairly expensive, and figured wood is even costlier. It has been used as a lower-cost alternative to Hawaiian Koa. Comments: Although called “Blackwood,” the name is somewhat of a misnomer, as its wood is not at all black. 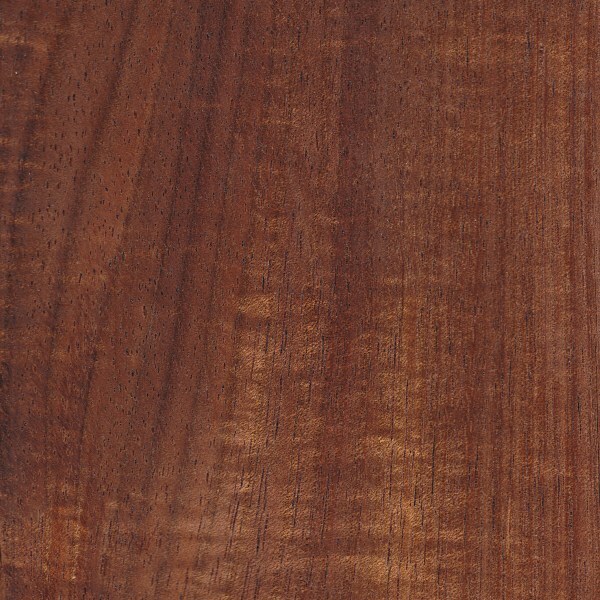 Rather, its lustrous golden brown grain has been used as a sustainable alternative to Koa. The species has been introduced to a number of regions worldwide—either as an ornamental shade tree, or on a plantation for lumber—and in many areas, the hardy tree species has become an invasive species. 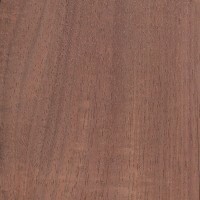 Australian Blackwood compares very closely with Koa. 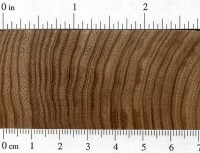 Australian Blackwood tends to have a straighter grain, and slightly better machining characteristics than Koa. 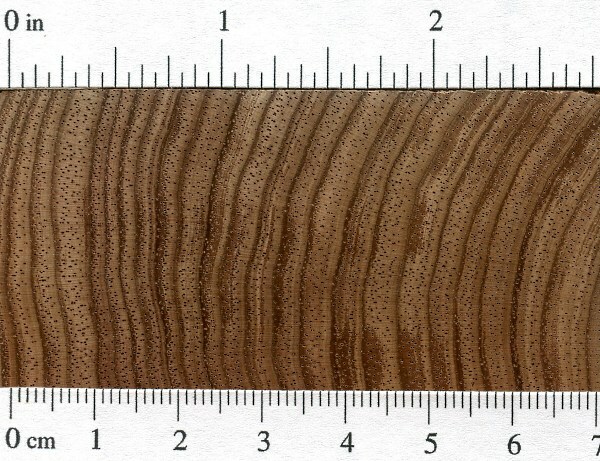 Scans/Pictures: A special thanks to Steve Earis for providing the wood veneer sample of this wood species. Hi, I’m hoping someone will be able to confirm if this is Australian Blackwood or maybe something else? Hi, we have Acacia melanoxylon in our forest in NW Spain (also a pest here!) and we made a wood cabin’s structure with them and I wonder now in light of reading about suscpetibility to insects if it is wise to use it again in another building I have planned. The Acacia was used only for the structure as beams for the side walls and roof support, and it is not exposed to the exterior elements (I understand it does not do well as an exterior wood). I also have rubinia, american oak, chestnut tres and atlantic cedar in the forest. I have had the cabin up for 3 years now and have not noticed any insect attack on the square 20-25 cm beams – one can easily observe them as they are exposed on the inside the house. I used cedar inside and outside as wall finish. Anyone have experience using this wood for structural purposes? Regarding insect presence, I used rubinia on the floor but some inner bark was sadly used and did get attacked when we had the floors covered with plastics for several months for protection while doing the inner finishing, as soon as we uncovered and treated it chemically, the attacks stopped…so we do have the insects around! I look forward to any feedback. It doesn’t look like Acacia Melanoxylon to me. The insects usually attack the sap wood which is either white or a shade of white. Here in Tasmania the eggs of the insects are laid in or just below the bark. Kiln drying the timber has a very good chance of destroying the eggs. I see some comments about Blackwood not being black in colour. We have some in our shop which is very close. In my opinion it relates to the age of the trees. We have some Blackwood timber which was cut from trees salvaged off a farm and the biggest was 2.8 metres in diameter. Some had branches 1 metre in diameter and the wood was very dark in colour, fine grained, some highly figured and very heavy. The trees came from Ringarooma in the North East of Tasmania. I made a coffee table with it, came out pretty good for a first timer. Would have liked to get a better finish. I am a cabinetmaker and for years during my apprenticeship I went home with “black” hands, I tried scrubbing with soap, bleach, vinegar and finally lemon juice which worked miraculously, I did end suffering asthma from constant use, so be careful. 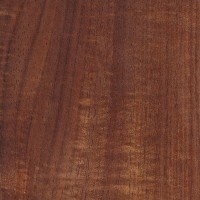 Beautiful character and colour and became called Australian teak. 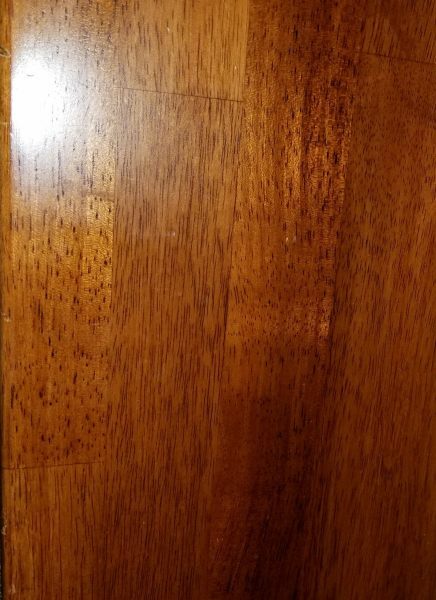 Its as good, if not better (finer texture), than KOA (Acacia koa from Hawaii) especially when figured, The coller climate grown wood (eg from Tasmania) I have found is best, it show beautiful (HIGH luster and often with excellent fiddleback. A excellent cabinet and box wood. Sharp tools are needed as it can burn and can be wooly. 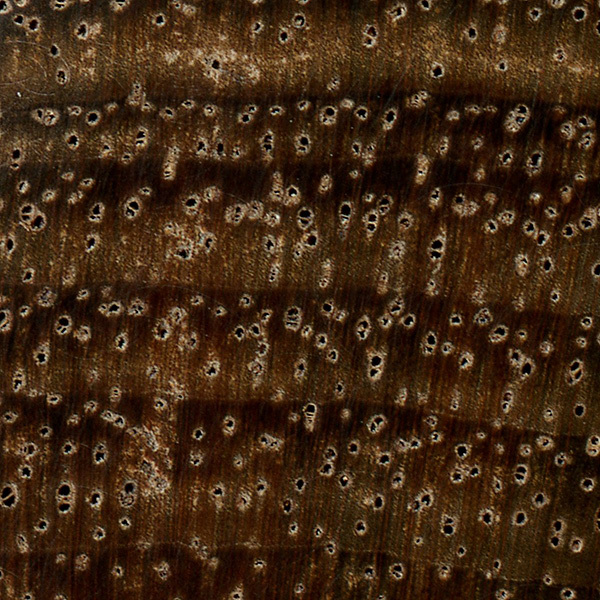 Could you supply me the acacia melanoxylon (australian blackwood) ? I really like the finished wood, but one complaint is the ‘silica’ like quality to the wood. This means a great deal of sharpening tools and slower to work. I wonder if anyone else has had the same experience. Acacia melanoxylon is certainly a weed here in California. I believe that the term ‘blackwood’ comes not so much from the colour of the timber but (according to an old lumber-hand I met in Tasmainia) the high levels of tanin in the timber resulting in dark brown to black stains on the woodworkers hands. Have you heard of this theory before? I can certainly attest to the black stains on my hands having worked with this species extensively. By the way, this is an excellent website and I am grateful to persons such as yourself for providing such clear and concise information on the web. Mick, I am a cabinetmaker and for years during my apprenticeship I went home with “black” hands, I tried scrubbing with soap, bleach, vinegar and finally lemon juice which worked miraculously, I did end suffering asthma from constant use, so be careful. 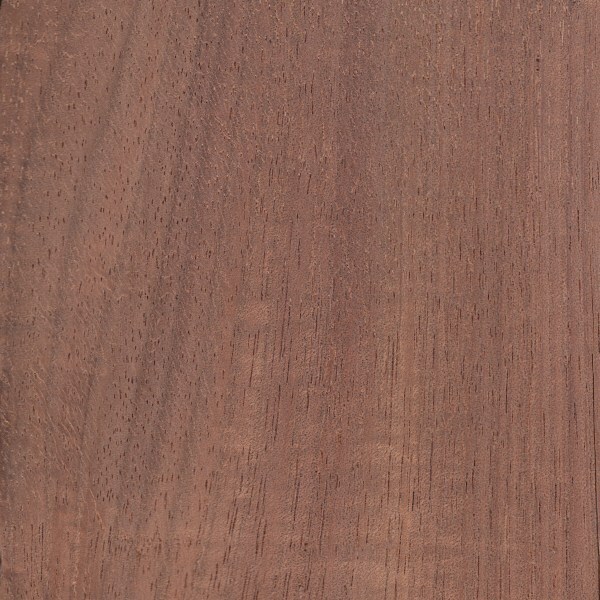 Beautiful character and colour and became called Australian teak.